A powerful fluid for periodical cleaning and maintenance of the waste holding tank. 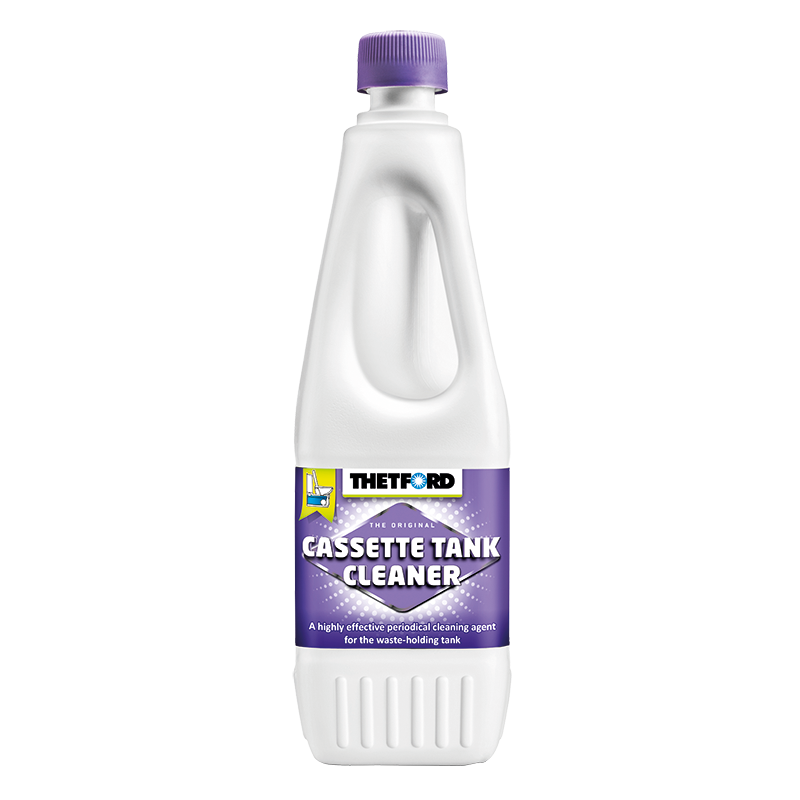 Cassette Tank Cleaner thoroughly cleans the waste-holding tank and prolongs its life span. No scrubbing required! Simply pour 300ml into your tank and fill with approx. 5Lt of water. Leave it on each side for about 8 hrs and rinse after. Available in a 1Lt bottle.